The first time a newborn person achieves something human beings are expected to do, the people who witness the event often express awe, delight, and relief. Sometimes these events are memorialized in stories but at some point in everyone’s life, these memories disappear. Sometimes the story remains, but it becomes a kind of myth. When the witnesses die, these memories are buried in time. 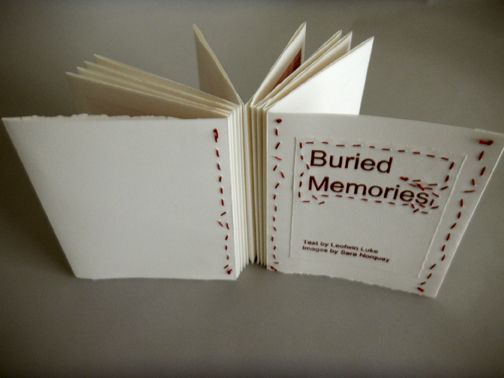 “Buried Memories” is a memorial to this fact of life: the death of all memory. 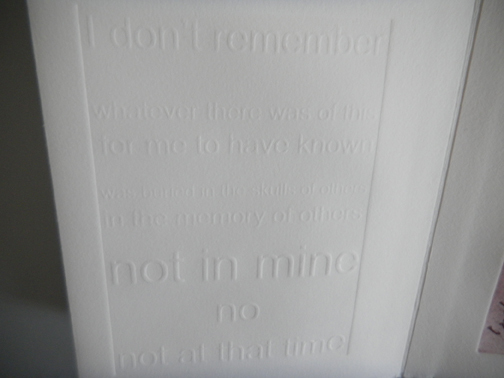 Reading the book is meant to mimic the act of trying to retrieve memory. 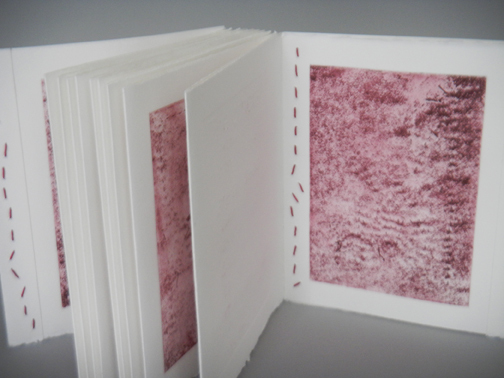 The words are intentionally made difficult to read and the images show the back sides of pages of the first felt book I ever made – pages that are now physically buried inside the completed book. Until now I was the only witness to these images. Now they are visible for others to see, yet what do they mean? 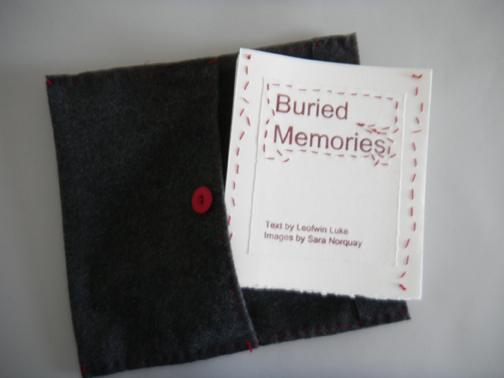 Just as we wonder what our first breath, tooth, word, song might tell us about the person we turned out to be, the images in “Buried Memories” make us wonder what the story is that these images support. 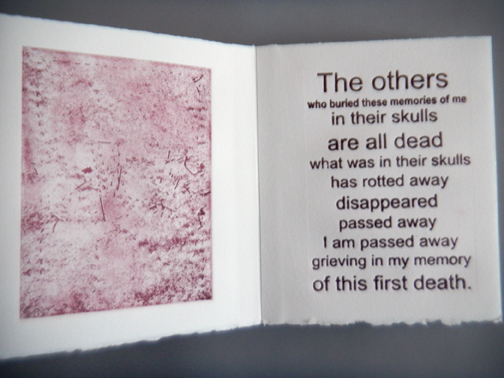 I printed them in the colour of dried blood as a metaphor for being alive, for surely memories are what make us feel we are alive. The awkwardness of reading the book is meant to increase curiosity, to lead to wonder just what has been lost.